Was he the finest English sportsman ever? Born in Durham, but brought up in St John’s Wood, A. E. Stoddart attended a school in a house in Acacia Road, run by Revd H. A. G. Oliver in the 1870s. It later became the home of the Mermaid Theatre in the 1950s. 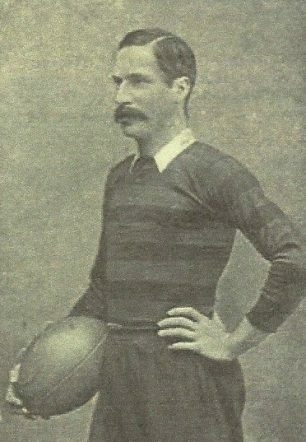 Stoddart came to be one of only two men to have led England at both rugby football and cricket, being not only the finest rugby footballer but the best batsman in the world as well. From 1886 – 93, he played in 10 rugby Tests as a wing three-quarter, captaining four of them, and could drop-kick goals with either foot. 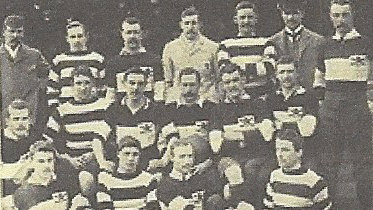 In 1888, he organised the first British Lions Rugby Union tour of Australia and New Zealand and, in 1890, was a founding member of the Barbarians, and their first captain. In 1886, as a flamboyant right-handed batsman playing for Hampstead Cricket Club, he scored a world record of 485 runs against the Stoics, having spent the night before playing poker and afterwards playing tennis as well as attending a dinner party. Within ten days, he also scored 207 for Hampstead, 98 for Middlesex, and a maiden 1st class century versus Kent. He played in 16 cricket Test matches versus Australia, captained eight times, scoring two centuries. While in Australia, he met Emily Luckham, a popular singer also known as Ethel Elizabeth, married to an Australian journalist. In 1901, she left for Europe never to return, and was divorced by her husband for desertion in 1903. She married Stoddart in 1906; the morning before the wedding he played in a golf foursome with the officiating clergyman as his partner, opposed by the best man and organist. In 1914, the Stoddarts lived at 20 St John’s Wood Road and he worked on the Stock Exchange and was secretary of the Queen’s Club. 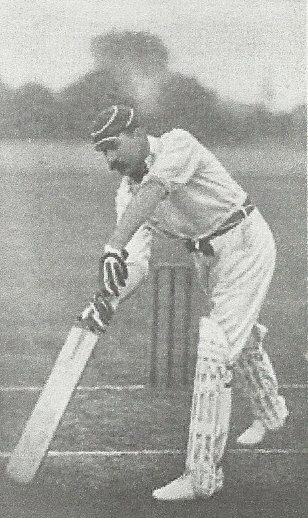 But failing health and mounting debts made life difficult when his sporting days were over and he shot himself in St John’s Wood in 1915. His wife continued to live in the Wood until after the Second World War. This page was added on 01/02/2016. As “Stoddy’s” biographer I have long felt that he should be remembered in the locality by means of a plaque on the wall of at least one of the several houses where he lived in this area. English Heritage were not sympathetic to the idea, which leaves me baffled. AES is surely the finest sportsman produced by this country.